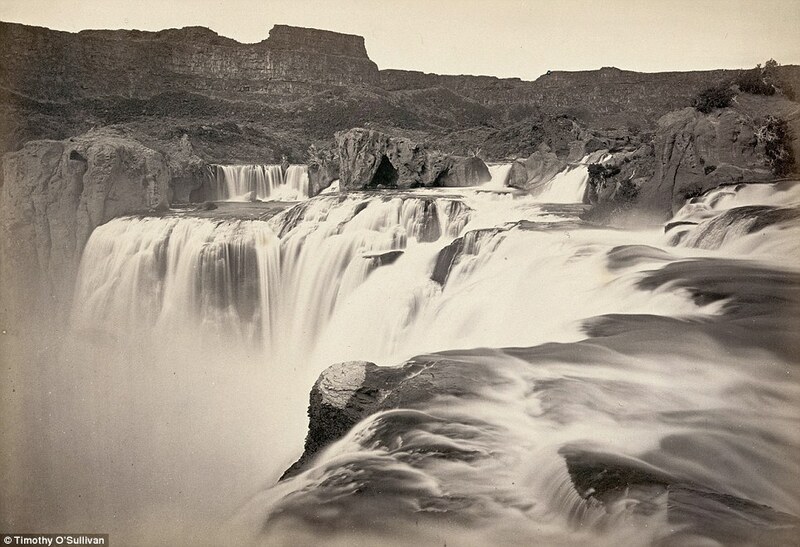 Timothy O’Sullivan (1840 – 1882) was a photographer in the 1800s whose photos of the american wild west still dazzle today. Born in Ireland, he moved to the states when he was 2. 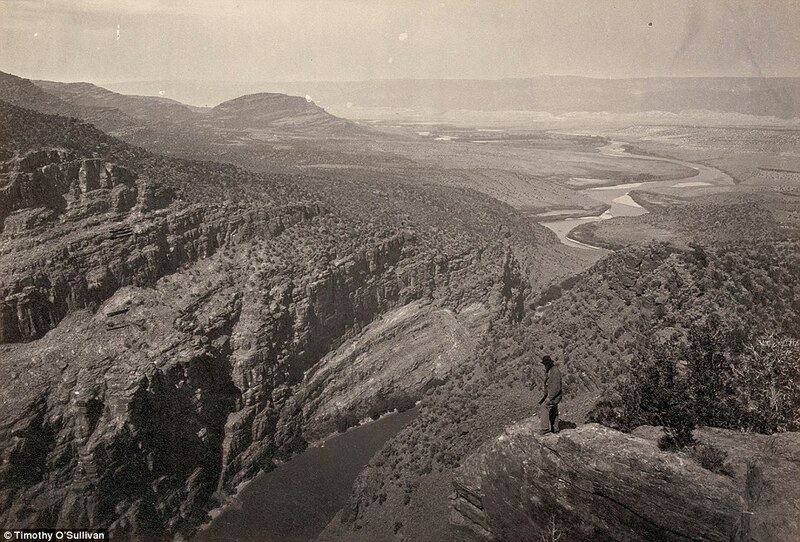 His photos of the civil war are some of the most famous, and after the war he was the official photographer of several geological survey teams exploring the west. The government used some of his photos to try and attract settlers to move westward. It worked. When O’Sullivan returned to the East, his images of the wide-open West mesmerized throngs of urbanites and new immigrants. His pastoral vision of a vast pre-Industrial Eden just the other side of the Mississippi River motivated thousands of city dwellers to leave their cramped, polluted, industrial environs for the new frontier. 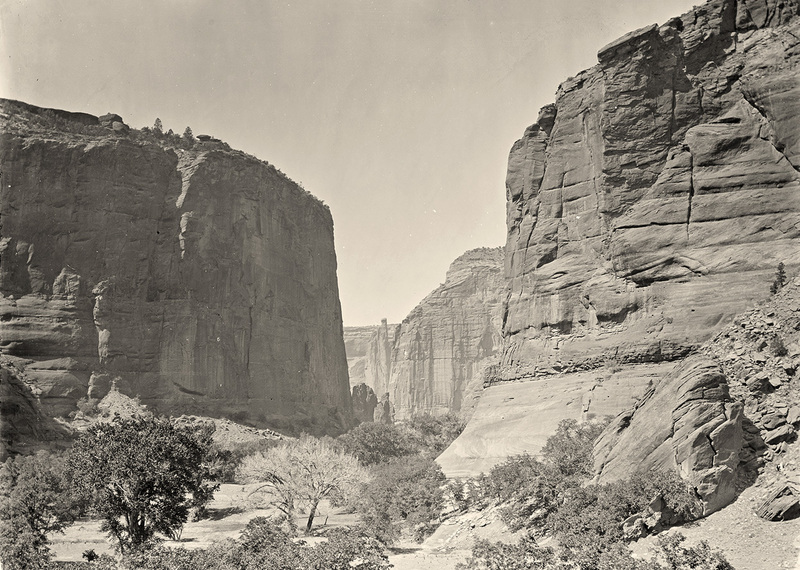 Incredible: Tents can be seen (bottom, centre) at a point known as Camp Beauty close to canyon walls in Canyon de Chelly National Monument, Arizona. 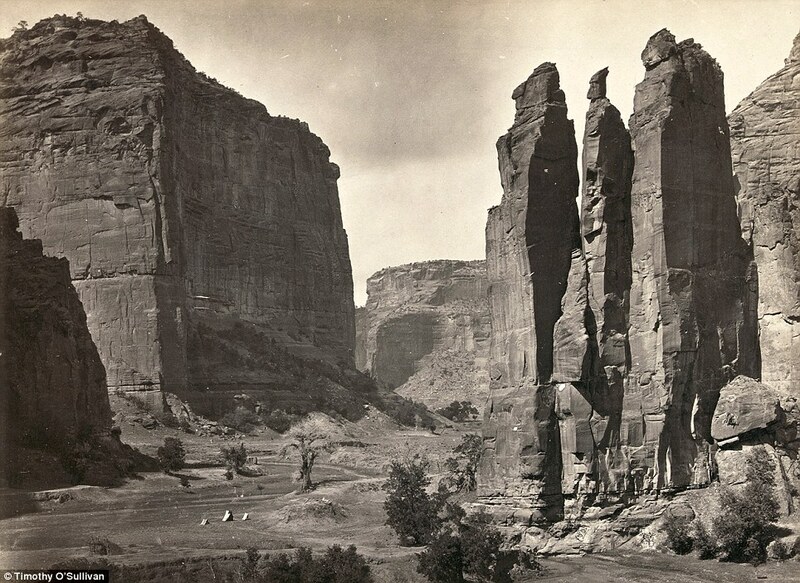 Photographed in 1873 and situated in northeastern Arizona, the area is one of the longest continuously inhabited landscapes in North American and holds preserved ruins of early indigenous people’s such as The Anasazi and Navajo. O’Sullivan traveling across the Carson Desert in Nevada in an ambulance wagon that he used as his portable darkroom. 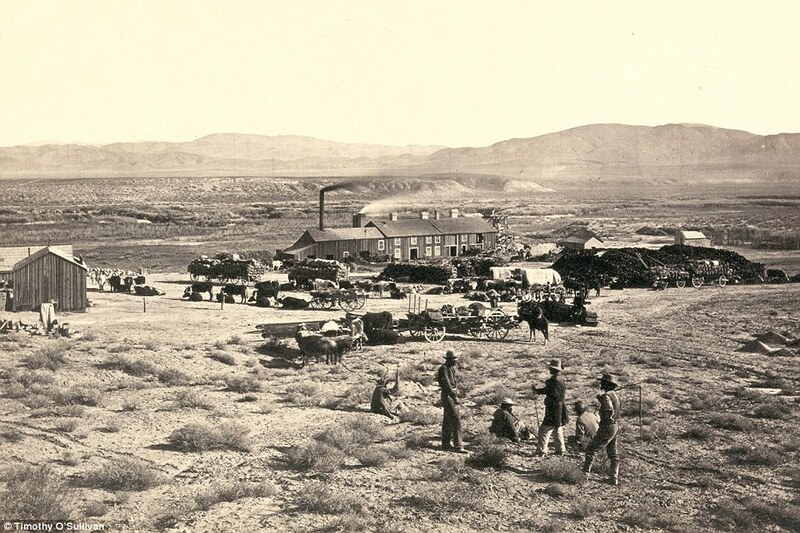 19th century housing: Members of Clarence King’s Fortieth Parallel Survey team explore the land near Oreana, Nevada, in 1867. Clarence King was a 25-year-old Yale graduate, who hired Irish tough guy O’Sullivan for his Geological Exploration of the Fortieth Parallel. 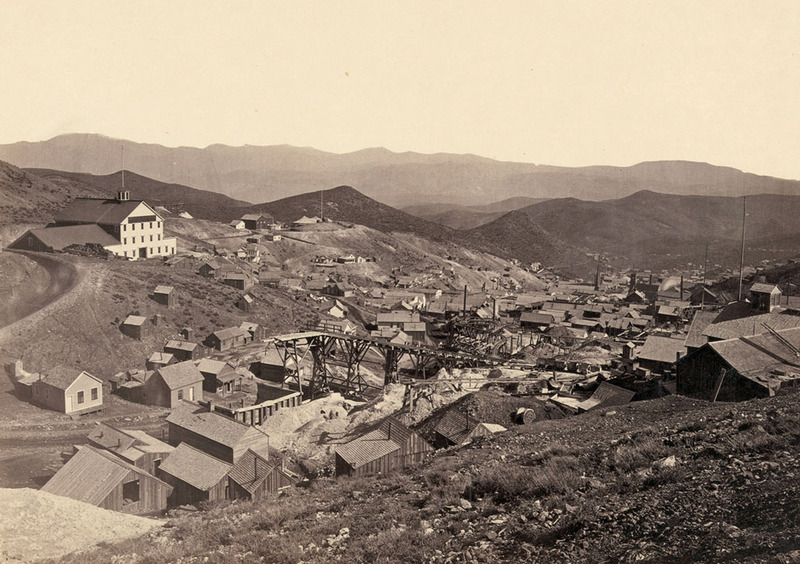 Funded by the War Department, the plan was to survey the unexplored territory that lay between the California Sierras and the Rockies, with a view toward finding a good place to lay railroad tracks while also looking for mining possibilities and assessing the level of Indian hostility in the area. 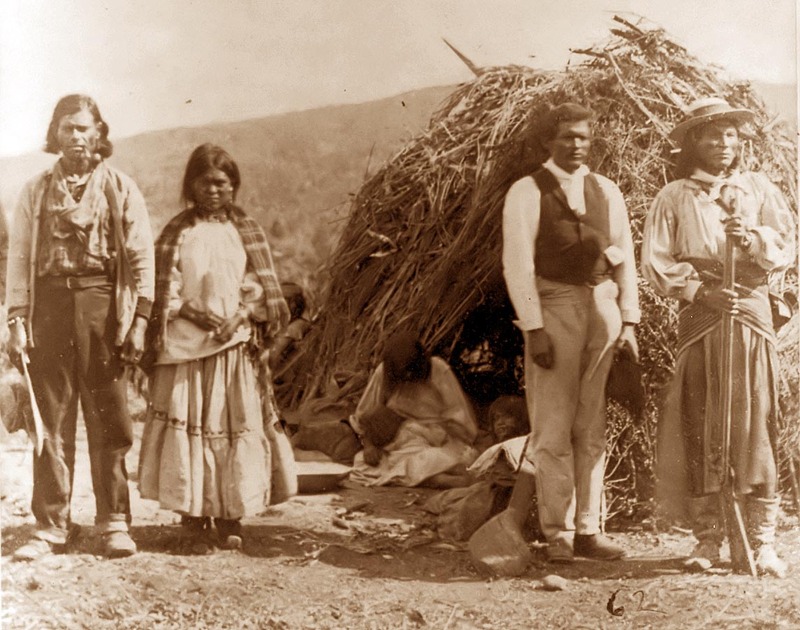 Native Americans: The Pah-Ute (Paiute) Indian group, near Cedar, Utah in a picture from 1872. Government officials were chartering the land for the first time as part of Lt. George M. Wheeler’s survey west of the One Hundredth Meridian which O’Sullivan accompanied the Lieutenant on. During this expedition O’Sullivan nearly drowned in the Truckee River (which runs from Lake Tahoe to Pyramid Lake, located in northwestern Nevada) when his boat got jammed against rocks. 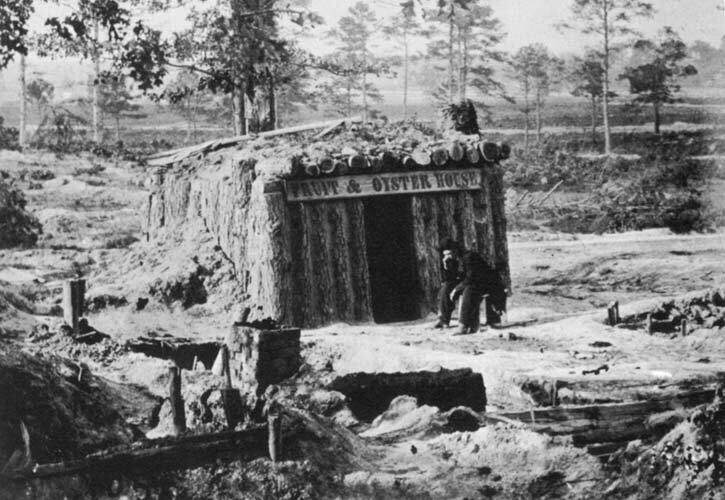 “Fruit and Oyster House,” depicts a “bomb-proof” trading post during the Civil War. This photo was taken sometime between 1864 and 1865, around the same time as the siege of Petersburg in Virginia. Destruction from the war is present throughout the photograph, trees are cut down, things are scattered in the background, etc. The body language of the man sitting in front of the shelter is displaying thoughts of distraught and sadness as he looks at the destruction of the outcome of the war. An Apache Indian Camp. Unlike almost all of his peers, O’Sullivan enver asked Indians to change their clothes and wear more “traditional” outfits. He was content to photograph them wearing the clothes they normally wore. 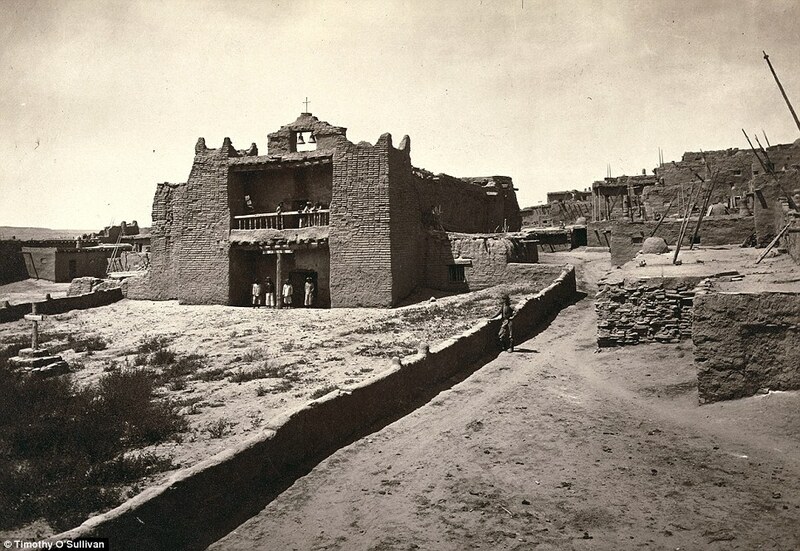 On this rock I build a church: Old Mission Church, Zuni Pueblo, New Mexico pictured in 1873 where the Zuni people of North have lived for millennia. O’Sullivan was famous for not trying to romanticise the native American plight or way of life in his photographs and instead of asking them to wear tribal dress was happy to photograph them wearing denim jeans. 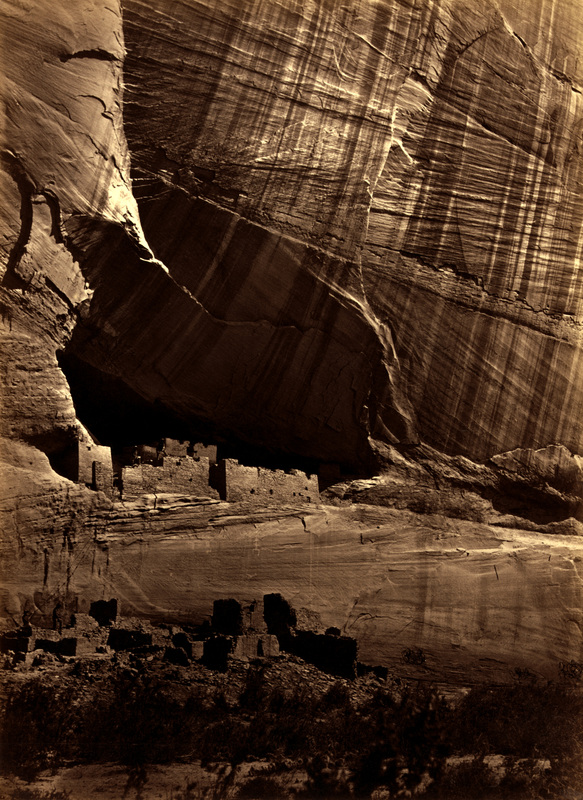 Ruins of an Anasazi pueblo, called the “White House”, in Canyon de Chelly, present day Arizona. Original title: Ancient ruins in the Cañon de Chelle, N.M. [New Mexico Territory], in a niche 50 feet above present cañon bed. Part of the series “Geographical explorations and surveys west of the 100th meridian”, sponsored by the United States War Department, U.S. Army Corps of Engineers.